Right now on regular basis I’m dealing with XAML, MVVM concept, MVVM libraries, Blend, Animations, VisualStates and much more stuff that comes with creating applications for Windows Phone (WP) and Windows 8 (W8) platform. Although I had some, none professional, experience with Windows Phone and all that I’ve mentioned above – I’ve made 3 really simple applications – it was a drop of knowledge in the sea of stuff that you have to know as a decent WP and W8 programmer. With that being said, I’m trying to catch up, bacause of the obvious lack of knowledge, and in my spare time I’m doing some easy projects that hopefully will let me understand better the concepts, best practices, syntax, libraries and everything that hovers around the WP and W8 development. Keep your fingers crossed. I figured out that theory isn’t enough and it would be good to do some practical exercises. Brilliant idea! I wasn’t thinking more and just started coding. 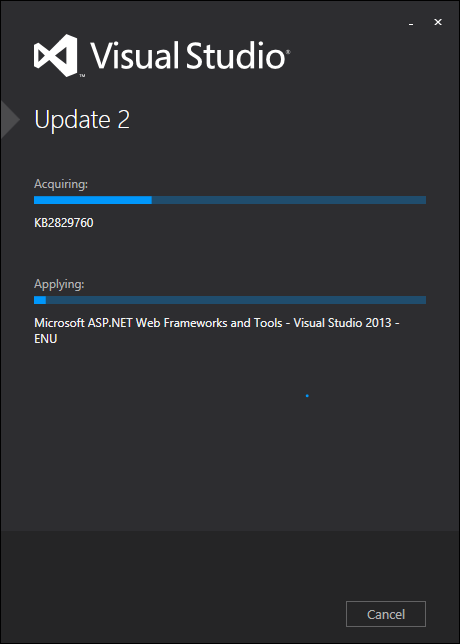 Not really…Firstly you have to download and install Visual Studio 2013 Update 2*. Read what’s new in it here and download it from here. After a while you can create your first Universal Application. Just choose a template, pick a name for a project and you’re ready to go. The application that I’m going to create is really simple one, and you can find a lot similar ones already in the store, but that’s not the case here. The deal is to learn about WP8 and WP platform, API, possibilities, limitations, behaviour etc. Idea came from a need. Right now I live in Australia but originally I’m from Poland and sometimes I want to call my family and I don’t know what exact time is in Poland, same thing goes for my family but in the opposite way. It’s 8h difference, which can be easily calculated but if there was a tile on my phone or laptop screen with my Favorite Time Zone(s) that would be great. No more calculations, just a quick glimpse and I know if I can make a call or not. Let’s get to work then. NOTE: Apparently there was another package of updates. 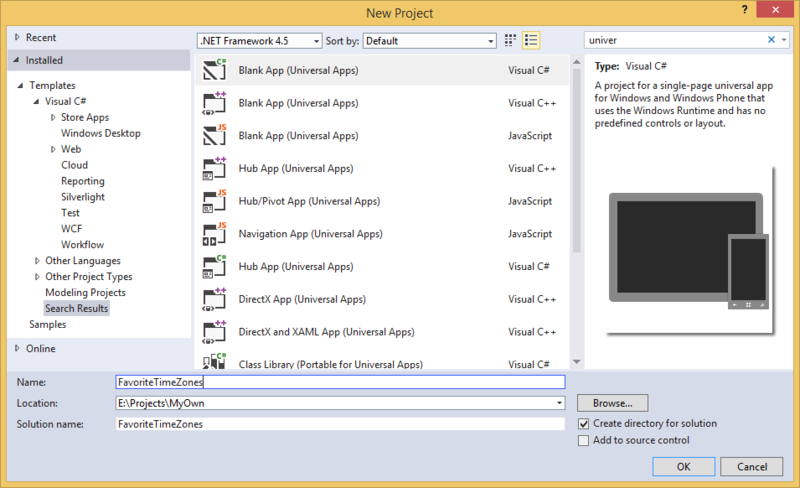 Now you can download Update 3 for Visual Studio.